GOD WARS The Complete Legend Arrives September 4! | NIS America, Inc.
Home / Blog / GOD WARS The Complete Legend Arrives September 4! Today, let’s check out a new character, Orihime, and her role in the game. 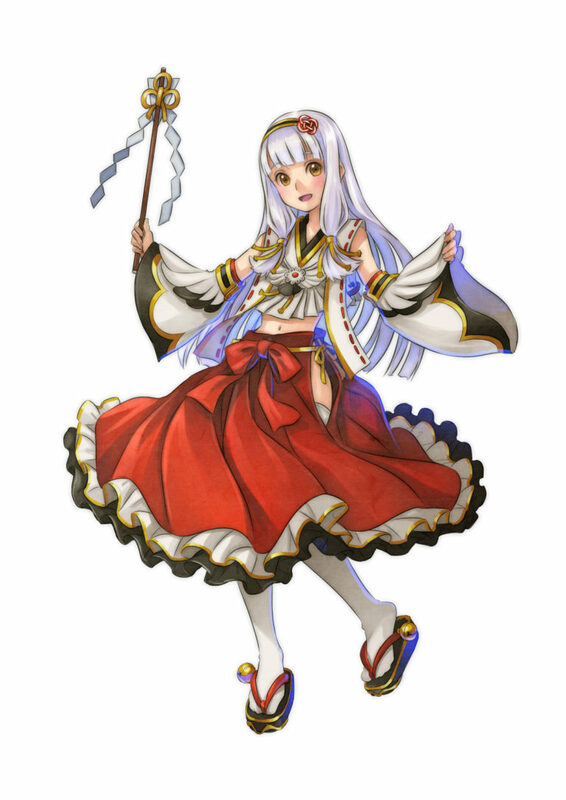 Orihime in GOD WARS is modeled after two different figures in Japanese mythology and folklore. She is a combination of a weaving goddess, “Ametanabata-hime,” who wove special holy clothes in order to bring Amaterasu omikami out of the Amano-Iwato cave she was hiding in, and the crane from the “Tsuru no Ongaeshi” (The Crane Returns a Favor) legend who also weaves using her feathers. You can see these influences in Orihime’s design. During her time off the battlefield, Orihime is as snarky as she is pretty. She has a mind of her own and might talk to you directly! Who knows… she might catch you off guard! Orihime and the Labyrinth of Yomi (the new content for GOD WARS Future Past) DLC will arrive on PS4 and PS Vita on the same dates. For more information, please visit the official website.